We’re in the business of cultivating and communicating great ideas, which got us thinking – where do great ideas get their start? Some of the most applauded ideas in pop culture, business, technology, and innovation have gotten their start on the humble cocktail napkin. Which of these great ideas would earn a spot in a Cocktail Napkin Hall of Fame? Here are our votes for the top 20 cocktail napkin ideas of all time. 1 Pixar’s Big Four – One fated lunch meeting among Pixar’s John Lasseter, Andrew Stanton, Joe Ranft, and Pete Docter saw the original sketches for what would be four of the studio’s most successful films: A Bug’s Life; Monsters, Inc.; Finding Nemo; and WALL-E. Written on nothing more than napkins on their table, these ideas would result in more than $1 billion for Pixar. 2 Harry Potter – The ideas for the creation of“The Boy Who Lived,” “He Who Must Not Be Named,” and one of the largest trends of the last two decades were initially written on cocktail napkins, while author Rowling sat on a delayed train. 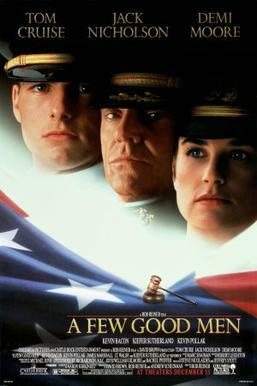 3 A Few Good Men – “You can’t handle the truth!” Well, the truth is, screenwriter and movie producer Aaron Sorkin got his start writing on cocktail napkins. If only everything we scribbled could get us nominated for Academy Awards and Golden Globes. . . .
4 Stephen King, Misery – Many writers keep notepads by their bed to capture the thoughts that emerge in their dreams. For Stephen King, a cocktail napkin did the trick as he traveled to London on an American Airlines flight. 5 Marilyn Monroe’s Book: Fragments: Poems, Intimate Notes, Letters – What many people didn’t know about Marilyn Monroe was that she was always writing. Much of the time that meant she would write on whatever she could get her hands on, including napkins. These poems, notes, and letters became the published collection known as Fragments. 6 Super Bowl Trophy – We certainly couldn’t leave out the sports enthusiasts from our list, and what means more to a sports fanatic than the Super Bowl? In the 1960s, NFL commissioner Pete Rozelle began working with the head of Tiffany & Co. design, Oscar Reidner, on what would become the Super Bowl trophy. The two met for lunch where Reidner drew his design idea for the trophy on a napkin. Rozelle loved the sketch and hired Tiffany to create the iconic trophy, which they’ve continued to do every year since. 7 NASCAR Scoring System – While no longer in place, the scoring system that governed NASCAR for 36 years was originally conceived on a cocktail napkin. Stock-car-racing publicist Bob Latford developed it after the 1974 season, using a stack of cocktail napkins at Boot Hill Saloon in Daytona Beach, FL, to draw out his plan. 8 Shark Week – A few Discovery Channel execs and a few beers are all it took to spark a cultural phenomenon. An offhand remark at a happy hour snowballed into the longest running cable TV programming event in history. 9 Ziggy Stardust – David Bowie’s 1970s search for an alter ego took place on cocktail napkins, according to his girlfriend at the time. His new glam rock, extraterrestrial personality, Ziggy Stardust, was to embody Iggy Pop’s personality and Lou Reed’s musicianship. 10 MRI – Physicist Paul C. Lauterbur scribbled the initial sketches for the world’s first magnetic resonance imaging model on a napkin between bites of a hamburger at a suburban Pittsburgh diner. Giving physicians the ability to look inside the human body won Lauterbur the Nobel Prize in 2003, and MRI technology continues to save countless lives around the globe today. 12 Facebook Data Center – It might surprise some that one of the greatest innovations by this technological leader were originally drawn out on a cocktail napkin, but that’s exactly what happened in the case of the Facebook data center. The design sketched by Jay Park, Facebook’s director of data center design engineering, led to the energy efficient electrical systems now used by all of Facebook’s data centers. 13 Ethernet – Robert Metcalfe, an electrical engineer, used napkins as his sketchbook of choice. Not only was the cocktail napkin the inspiration for the size of the floppy disk (5 ¼ inches), but Metcalfe’s initial idea and explanation for the Ethernet was sketched on a napkin. 14 Compaq – In 1981, Compaq founder Rod Canion drew out the design for an IBM-compatible PC on a pancake house napkin that would be the model for the company’s first product, a portable computer. Before being swept up by HP in 2002, Compaq was at one time the world’s biggest PC supplier. 15 Credit Card Font – You may have never given a second’s thought to the font that appears on most credit cards; however, its creators knew that the font had to be carefully optimized for utility. David Shepard, the inventor of one of the first machines that could read and interpret credit card numbers, discovered the machines had difficulty deciphering complex or smeared text. Shepard sketched out the familiar squared-off numbers, called the Farrington B numeric font, on a cocktail napkin at the Waldorf Astoria Hotel. Meant to combat smudging and smearing, the font has persisted even as magnetic strips on the cards’ backs now carry the necessary information. 16 Whataburger – This “Texas Treasure” is known for its distinctive orange and white A-frame buildings, which founder Harmon Dobson scrawled out on the back of a napkin. With its cultish following and cheap fare, Whataburger now serves its “bigger, better burger” at more than 700 locations throughout the country. 17 Oprah’s Syndication – While on a date with Roger Ebert, Oprah expressed her confusion over whether to syndicate her show with two ABC stations or nationally through KingWorld. What did Ebert do? Grabbed a napkin and pulled out a pen and walked her through some simple calculations to show her how much she would stand to make through nationwide syndication. It only took Oprah a matter of seconds to make her decision, which transformed her into a media titan. 18 Pink Petro – Waiting for a delayed flight, former BP executive Katie Mehnert sketched the concept for Pink Petro, an online community for women in the energy industry, after a comment from a fellow passenger on her lack of husband prompted Mehnert to think of ways to support and connect women in energy. Now sponsored by companies like Shell and Halliburton, Pink Petro is set to hit 50,000 members by the end of 2015. 19 Laffer Curve – An economic policy that shaped a presidency got its start on a cocktail napkin. Supply side economics was popularized following a 1974 dinner meeting with members of the Nixon/Ford administration, during which economist Arthur Laffer illustrated the concept on a napkin. Today, we know this philosophy as Trickle Down Economics. 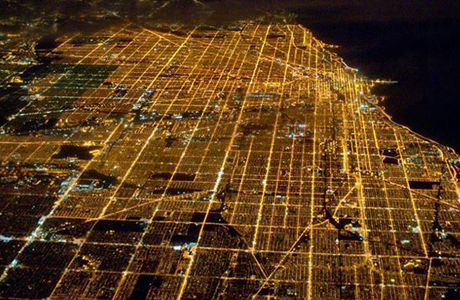 20 Chicago’s Grid of Streets – Roger Ebert makes this list for the second time thanks to his great grandfather. Hieronymus Ebert drew a tic-tac-toe grid on a cocktail napkin while socializing with architect and urban designer Daniel Burnham. What typically represented a child’s game sparked an idea with Burnham and led to the development of Chicago’s grid of streets. Do you have a great cocktail napkin idea and need help putting it into action? Let’s chat!